Crabtree Capital white 13A DP fused switched connection unit + neon "FAN"
1 Gang, 1 or 2 Way, 300 Watt (Trailing Edge). Most models can be fitted into a box with a minimum depth of 25mm. A box with 4 fixing lugs cannot be used without modifying it. The top or bottom lugs must be broken off or bent flat. FINGER PLATES. 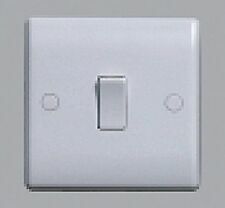 11.9cmx11.9cm light switch groove. 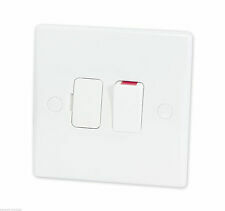 SINGLE LIGHT SWITCH/SOCKET. Lightly lacquered surface to reduce fingerprint marks. 10 Amp rated - 2 Way as standard. 1 Gang 2 Way Switch. Two Screw Fixings ( Screws Included ). 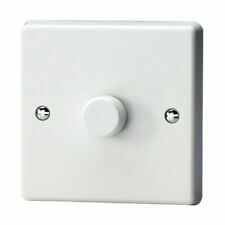 White Plastic Light Switch. 85mm x 85mm. We buy our bulbs in bulk - passing on the savings to you. Turn On/Off. We hope you find our new website easy to use, and look forward to providing you with a low-cost, fast, and efficient service! LED Light Bulbs. Digital technology and modern lifestyle go hand-in-hand and we all rely on multiple electronic devices and gadgets on a daily basis. These sockets are easier to clean and much safer than a multi plug adapter or standard plastic socket and fascia. Trailing edge. total if LED bulbs used: 5-100W per gang;. total if halogen bulbs used: 40-250W per gang. Screwless black nickel 13A double / 2 gang wall socket with 2 USB Outlet Ports. Operation: Push for on and off. Modern slim profile with. Lightly lacquered surface to reduce fingerprint marks. 10 Amp rated - 2 way as standard. So why not grab this opportunity and start saving money! 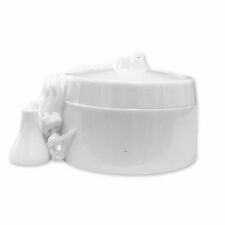 Suitable for bathroom or any other room in the house. Can be used as a one or 2 way light switch. 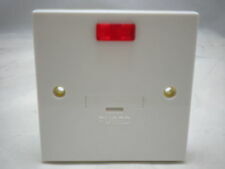 For use with 220/250 volt mains electric. Georgian Brass Plated Classic Light Switches, Plug Sockets, TV Sockets & More! 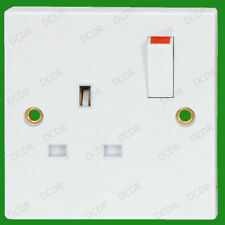 5 out of 5 stars - Georgian Brass Plated Classic Light Switches, Plug Sockets, TV Sockets & More! 5 product ratings5 product ratings - Georgian Brass Plated Classic Light Switches, Plug Sockets, TV Sockets & More! Reflex Blue Range - Light Switches, TV & Plug Sockets, Fused Spurs & More! Crabtree 4214/3 BG. Complete with back box with knock outs. Brown Bakelite Wall Switch 2way 1gang 10amp. Classic styled reproduction wall light switch switch in real brown bakelite. Face plate material: Bakelite. Face plate finish: Bakelite Brown. Single Pole, Double Throw Two-Way A simple changeover switch: C (COM, Common) is connected to L1 or to L2. Suitable for all standard, fluorescent or energy saving lights. White detailing. White Inserts and White Switch. New Range. Extra Special Introductory Price, Limited Period Only. Single Plate (W) 88mm (H) 88mm (D) 8mm. A typical example of this is when a room has two entrances (like a through lounge) where there is a switch positioned at either entrance. Compliant to all relevant British safety standards. Made from high quality ultra slim, premium grade material. 79x79x42mm (1 gang). Supplied with M3.5 fixing screws. 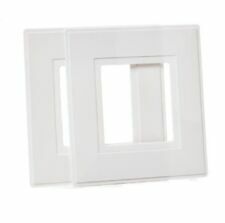 Raised profile single architrave light switch with white finish. 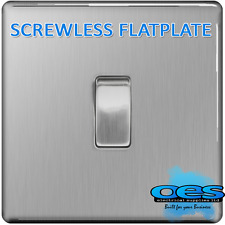 SCREWLESS SATIN NICKEL STANDARD OR LED DIMMER LIGHT SWITCHES & SOCKETS. 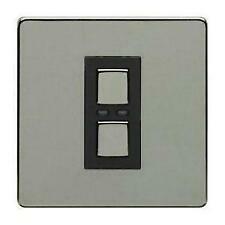 BG Electrical 812 10AX Single 2-Way Light Switch - White Original Packaging 1 . Lovely brass 1 Gang Intermediate switch, new and unused. Lovely brass 1 Gang switch, new and unused. Lovely brass 1 Gang 20 Amp Double Pole Rocker switch, new and unused. Lovely brass 1 Gang 20 Amp switch, new and unused.